Many cat owners miss out on the wonderful experience of taking their cat for a walk because they think their cat won’t like it. The truth is that some cats love walking – almost as much as dogs. Other cats enjoy the outdoors but prefer to just lounge around outside. Whether you’re taking your cat for a walk around the block or just out in the backyard, a harness gives her the ability to explore her world safely. We looked at dozens of cat harnesses in order to find the best, highest-quality, most secure harness at any budget, based on factors such as size, quality of materials, Amazon ratings, and other considerations. We narrowed our search down to five of the top-rated harnesses that are on the market today. We’ve identified the PetSafe Come With Me Kitty Harness and Bungee Leash as the best harness overall. While it’s a little pricier than some of our harness picks, it’s made from high-quality materials, includes a unique bungee leash, and is fully adjustable. These features, coupled with the fact that it’s easy to put on and take off, make it an excellent choice for smart cat owners. 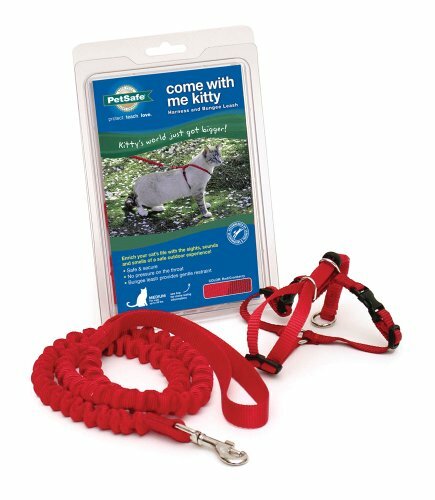 If you’re looking for a cat harness that comes complete with all the bells and whistles, look no further than the PetSafe Come With Me Kitty Harness and Bungee Leash. At just $12,95, this leash includes an “H” style harness and a bungee leash. This product has been reviewed over 2,000 times on Amazon and consistently gets four or more stars. Reviewers say their cats adore this simple harness and bungee leash combination – it even enticed their cats who were never interested in going outside before. They love how easy the harness is to get on and off their cats. This harness features a unique bungee-style leash that provides a little give when your cat approaches the end of the leash instead of just stopping them short and alarming them. The harness comes in small, medium, and large, and is completely adjustable to give your cat a snug and safe fit. It’s made with high-quality 3/8 inch wide nylon. It’s designed to apply pressure to the shoulders, not your cat’s throat. It’s also relatively escape-proof since it provides a snug fit at both the neck and stomach. Nearly escape-proof, this vest-style harness will secure any cat. The PUPTECK Escape Proof Cat Harness with Leash is a close second to our top pick. This harness is a vest-style harness and it’s nearly escape-proof. At just $13.99, it includes both a harness and a leash. The harness is constructed of a breathable mesh material that doesn’t overheat when it gets hot. It features soft Velcro at the neck and chest, along with a plastic closure at the neck to ensure it stays in place. Two heavy-duty D-rings on the back connects the harness to the five feet long nylon leash. Reviewers love how the Velcro closure makes it simple and easy to put on and their cat. Additionally, many reviewers note that their pet hardly notices the harness when it’s on. They also remark that due to a snug fit and secure style, it’s nearly 100% impossible for their cat to escape from the device. At just $3.19, you can’t beat the value of the Coast Pet Harness. 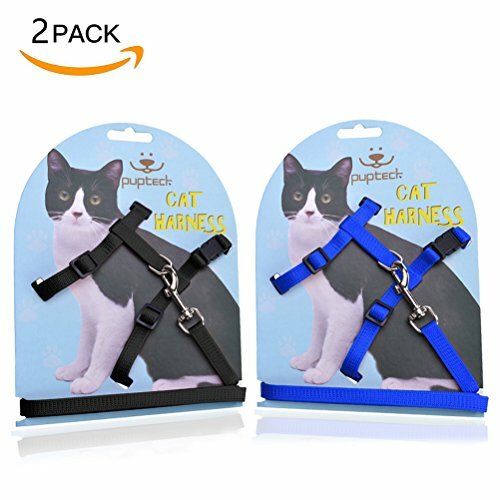 At just $3.19, the Coastal Pet Mesh Cat Harness is the best cat harness for budget-friendly pet owners who don’t want to sacrifice quality for price. The Coastal Pet Harness does not come with a leash, but you can find quite a few options for leashes under $5.00 on Amazon. The Coastal Pet Harness comes highly recommended. Reviewers love the comfy and secure fit. One reviewer even says this harness is the most comfortable option on the market for 24/7 wear due to its breathable fabric and great fit. The harness is a vest mesh-style harness that clips on the side of the cat’s belly. It’s adjustable and should fit cats between eight and twelve pounds. It isn’t intended for kittens. The vest-style design is perfect for cats who tend to wriggle out of other harnesses. The PUPTECK Adjustable Cat Harness is the best combination leash and harness. If you’re looking for a knock-out harness and leash combination, look no further than the PUPTECK Adjustable Cat Harness with Leash. This harness is an adjustable “H” style harness with buckles at the neck and chest. It’s made with durable nylon material that has been tested to be more than twice as thick as other options on the market. Reviewers love the solid and sturdy construction of the harness. They also like that it’s easy to put on and take off of their pet and the fact that it’s fully-adjustable so their cat cannot slip out. The leash is sturdy and well-stitched so it won’t fall apart even with heavy use. The Yizhi Miaow Adjustable Kitten Harness fits kittens and small cats. The best time to leash-train a cat is when they’re still young and with the Yizhi Miaow Adjustable Kitten Harness, you can ensure your kitten will stay put while training. This vest-style harness fits kittens just seven to nine inches around the neck and eleven to thirteen inches around the chest. Both the chest and neck straps are adjustable with Velcro closures to ensure a snug fit. It’s also virtually escape-proof due to the secure jacket-like design. The vest comes complete with two leash rings, one in the middle of the harness and the other at the bottom. The included leash is 47.2 inches. Reviewers love that even their most escape-prone kitties can’t get out of this harness. They also love the sturdy construction and the secure fit. Many cat owners think a cat should either an indoor or an outdoor animal, without realizing there’s a perfect middle ground. Outdoor cats face a lot of risks, including fights with other animals, injury from cars, and the possibility of getting lost. Indoor cats, on the other hand, don’t get the opportunity to explore their environment and get some fresh air. Instead, a cat harness and leash provides the perfect compromise. It’s not just dogs who love to talk a good walk around the block. Many cats do as well. Others just like to lounge in their backyard. Either way, a harness keeps them safe and out of trouble. Other cat owners use a harness to take their cat out on appointments, such as to the vet or the groomer. It’s the perfect alternative to a cat carrier or crate to keep your pet safe and secure in and out of the car. Durability of materials. The cat harness you choose should be made with quality, durable materials that won’t snap or fall apart at the slightest movement from your cat. Be sure to inspect the stitching of the harness, as well as all of the individual clasps, to ensure it can withstand your cat tugging against it. Fit. Fit is one of the most important aspects of choosing a cat harness. You’ll want to ensure the harness fits your securely and doesn’t allow the possibility of your pet to escape. You also don’t want the harness to be too tight or uncomfortable. A good rule of thumb to keep in mind is that you should be able to slide one finger between your cat’s neck and her harness. If more than one finger fits, the harness is too loose. If you can’t fit one finger, the harness is too tight. Style. There are two main styles of harnesses for cats: a classic “H” shape or a vest style. Each has its benefits. An “H” style harness has a strap to go around the neck and another strap that goes around the stomach. This style is more adjustable than the vest style and is simple and easy to put on your pet. The vest style is usually made from mesh or another breathable material. It fits around a cat’s chest like a vest and clips at the back or chest. This style is usually more escape-proof and perfect for cats who have outwitted the “H” style harness. Compatibility with a leash. Some harnesses come equipped with a leash already, while others will require you to purchase a leash separately. Just ensure that the harness you choose comes with an O-ring or other types of devices that allows you to attach a leash. Safety features. Some harnesses come equipped with safety features, such as reflective tape or a bell that will allow you to find your pet easily in the case of her escape. A cat harness is a device that fits around a cat’s neck and back and connects to a leash. Harnesses are important because it is unsafe to attach a leash to your cat’s collar. Unlike dogs, cats have soft throats and applying too much pressure in the throat area can cause internal damage. Harnesses come in two main styles a classic “H” shape or a vest style. An “H” style harness consists of a few straps the go around the cat’s neck and waist to distribute pressure. A vest style fits around a cat’s chest like a vest and clips on her back. Can a cat be walked on a leash? Cats can absolutely be trained to walk on a leash. First, get your kitty used to wearing the harness and leash around the house. Then, once she’s ready, take her just outside the front door. Let her explore and give her plenty of praise. Each day, take her further and further, until she is comfortable with the idea of walking with the harness. Some cats may never be comfortable walking down a busy street, so take cues from your cat and stick to more quiet areas. How tight should a harness be on a cat? One of the most important aspects of choosing a harness is ensuring a proper fit. Your cat’s harness shouldn’t be too loose or she might escape. It also shouldn’t be too tight or she might be uncomfortable. Instead, ensure that you can slip one finger in between your neck and the harness. If one finger doesn’t fit, the harness is too tight. If more than one fingers fit, it’s too loose. Do leash laws apply to cats? In most cases, leash laws do not apply to cats. However, there are a few jurisdictions that require cats to be confined to their property. For instance, the City of New Orleans has an animal confinement law which requires that all pets be chained or confined to their owner’s property. Cats that are spayed or neutered, licensed, and vaccinated may be allowed outside but may not leave their owners’ property. Please be sure to check your own jurisdiction regarding animal confinement laws. We looked at 20 other cat harnesses. Even though they didn’t make our 5 best cat harnesses list, they’re the best of the rest and each is still a great option for your cat. The information you’ll need to compare each one is included in the listing. The PACOMFET harness comes in three adjustable sizes (small, medium and large) and seven different colors. It is made with 100% polyester, covered with breathable mesh. The Dexilv harness comes in two sizes and four bright colors. It features padding for extra comfort for your pet and is water resistant so it can be used in all weather. The Coastal Pet harness is an “H”-style harness made of sturdy nylon. It’s fully adjustable to fit any size cat and features a sturdy D-ring to connect any style leash (not included). The Dexil Color Coded Harness comes with four different warnings printed across the chest and back to let strangers know your cat’s temperament. Available warnings are “NO DOGS,” “DO NOT FEED,” “CAUTION” and “NERVOUS”. The PURR harness is a vest-style mesh harness that is available in eight bright and bold colors. Its unique buckle lock can be switched on or off to make it more secure. The Mynwood harness comes highly recommended for cats who can find a way to wriggle out of every other harness. This jacket-style harness is virtually escape-proof. 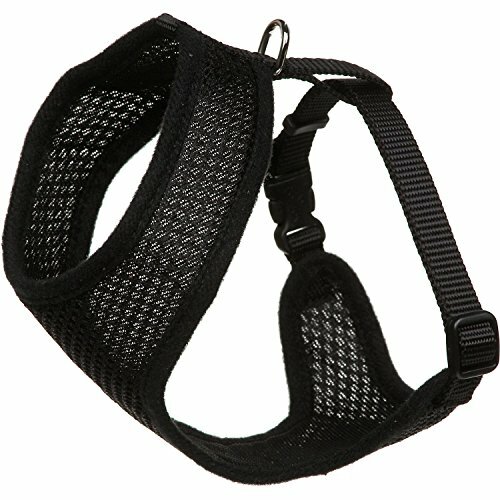 The Coastal Pet Products Figure 8 Harness features a unique figure-8 design that allows the neck and chest to be perfectly sized. It features a comfort-fit pad with swivel ring to attach a leash tangle-free. The Nightangel harness comes with not one, but two adjustable “H”-style harnesses and leash sets. It also has reflective tape to give your cat an extra layer of safety when you go out at night. The Bestag jacket features an adorable vest-style jacket with a plaid bow-tie. 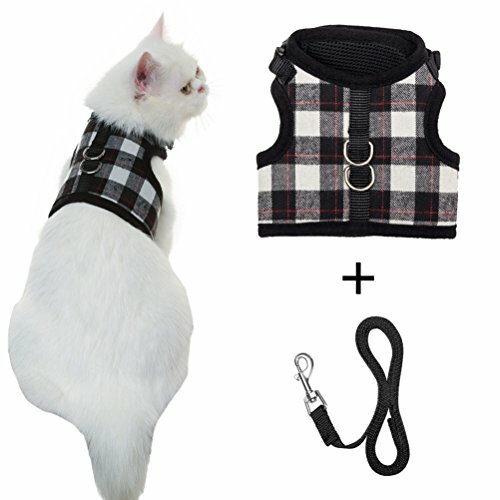 The jacket is made of breathable cotton and comes with a matching plaid leash. The Lil Lion harness is a 100% adjustable “H”-style harness with durable snap-lock buckles. It includes an extra-long 4-foot leash. Comes with a lifetime warranty. If your cat leash stops working, get a replacement at any time. The PUPTECK Reflective Harness features a row of reflective tape all along the harness and leash so you can easily spot your kitty in the dark. It’s an “H”-style harness and made with super-thick nylon for the ultimate in comfort. The Petetpet harness is an X-shaped vest-style cat harness and leash combination set. It’s made with breathable, soft fabric and comes in classic plaid colors for the ultimate fashion statement. The Catit harness includes an “H”-style harness that is “snag proof,” which prevents it from tightening around your cat’s neck if it gets stuck. It also includes a four-foot leash. The Juvale harness includes an “H”-style harness and leash made of sturdy nylon. It’s easily adjustable and allows you to take it on and off easily. The Avolare harness comes with two “H”-style harness and leash sets. 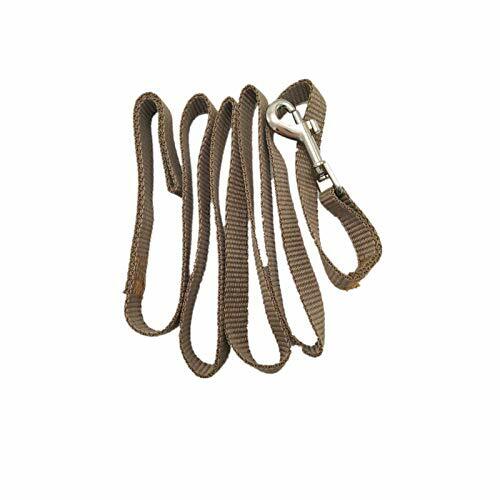 The harnesses and leashes are both made of sturdy nylon material that measures 3/8 inch in width. The Red Dingo harness is an “H”-style harness and leash combination with stylish fish clips on the side for easy release. It is constructed with nylon made from fine yarn for a softer feel. The Yizhi Miaow harness is an “H”-style harness and leash combination set. It comes in two sizes: for cats from three to ten pounds and for cats over ten pounds. The small size is perfect for kittens. The Rella Home harness is an “H”-style harness and leash set that comes in six bright colors. It features sturdy snap-lock buckles around the neck and chest and is fully adjustable to fit kittens and small cats. The LANPA Diamond Harness is a kitten-sized “H”-style harness that features an adorable rhinestone pattern and comes in a variety of bright colors. It includes a matching rhinestone-adorned leash. The Ray-JrMALL harness features a standard harness that fits around your cat’s neck and back to evenly distribute pressure. It’s fully adjustable to fit small kittens to adult-sized cats.